Definitely Oasis are regarded by many promoters and Oasis fans alike as the best one there is. 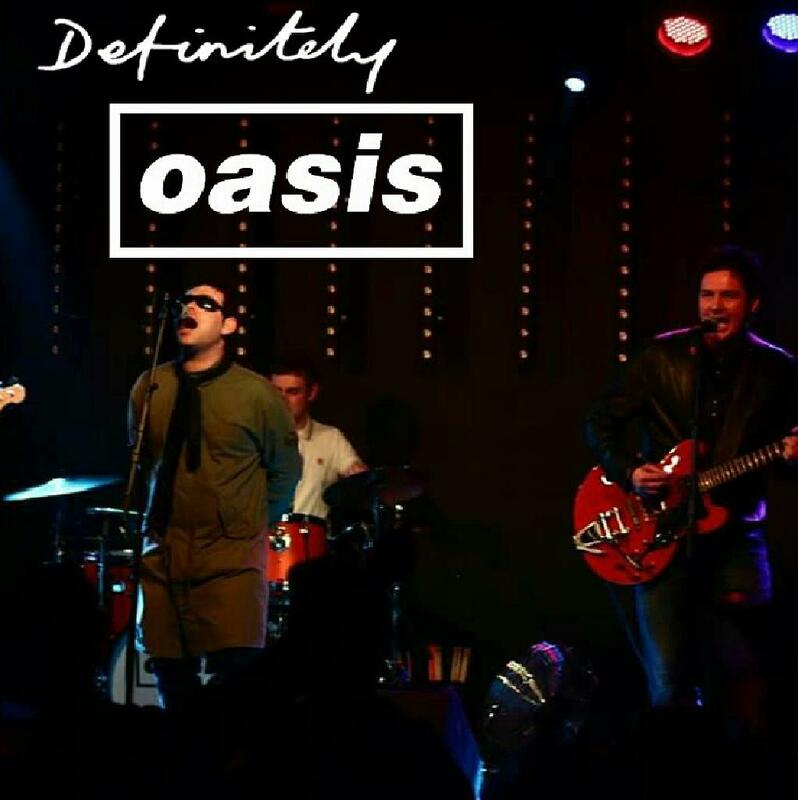 With Oasis currently not together, Definitely Oasis do an amazing job of keeping the music alive and set the bar high by re-creating the look, sound and feel of an Oasis gig. They're also the only Oasis tribute band in the world to have Liam and Noel Gallagher soundalikes that look and sound as close to the real deal as you can get. In the last 3 years the band have went from playing small pub gigs to selling out shows across the country in cities like London, Liverpool, Manchester, Glasgow & Newcastle including playing a sold out Barrowlands, A venue where the real Oasis played some of arguably some of there finest gigs. If your looking to see an Oasis tribute band then this is definitely the must see one.